How do you create the illusion of space in a small room? You planet. Before decorating and filling a small room, you should carefully plan the design to ensure that you make the most out of it. Space is at a premium these days, especially in the city. 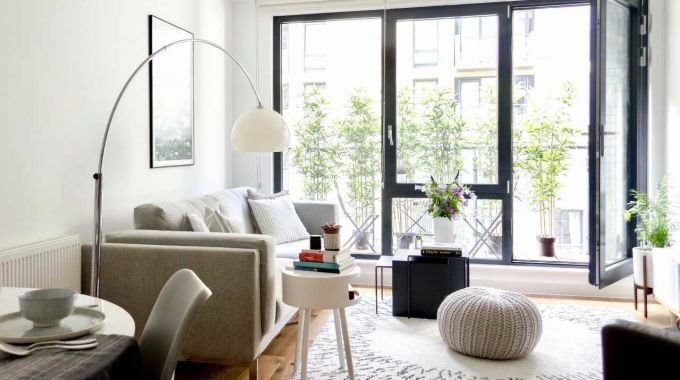 Smaller scale living can mean giving up some of the luxuries of a larger home. But fear not. We assure you that with some careful design planning, you can create the illusion of more space. This first step is obvious, but rarely done effectively. Natasha, Interior Styling Expert, urges us all to cut the clutter. “Step 1 is to try and keep your space organised. Nothing makes a room seem small more than loads of “stuff'”. Think hard about the purpose of everything in that room. If it is rarely used and doesn’t bring you joy, consider chucking, donating or storing it. Then you can reap the benefits of a more open and practical living space. Dark colours are great for making you look slimmer. But you don’t want to apply this effect to your living space. You should use lighter colours such as whites, magnolias and pastels which are more reflective and help maximise the effect created by natural light. This creates a sense of airiness and a more spacious room. Charlie, Homewings Designer, told us “a quick win is to paint your wall trim, mouldings and skirting boards a lighter colour than the walls. This makes them look further back and gives the illusion of a bigger room”. Keep it simple. Less is more. Avoid the temptation to go overboard with patterns and colours. Bright colours and jazzy patterns should be kept to a minimum. Too much of this can cause the space to look enclosed and cluttered. Cornelia, Co-founder of Homewings and interior design fanatic, emphasised the importance of avoiding patterns around windows. “Crazy patterns and prints around windows will lead to a feeling of constraint. Plain colours will encourage an airy feel”. The odd patterned cushion and bright vase will help bring colour and character to a small room. But steer away from patterned carpets and large, bright pieces of furniture. One of the main causes of a room looking small is a lack of light. Mirrors can reflect natural and artificial light, meaning your space will look bigger in the day and at night. “Adding mirrors and light reflecting surfaces to your small room is a great cheat to add depth and light to your space. If you can, place a mirror near a window to maximise the light reflected.” – Anne, Homewings Designer and Lighting Expert. When designing a small room, it is all too tempting to try and add character with loads of prints, wall art and numerous ornaments. But blank space will make the whole room seem bigger. To create the feeling of spaciousness and airiness in your home, you have to decide on some surface areas to leave blank. And of course, Homewings and LOVESPACE are here to help you make the most of your small rooms – and all of your rooms for that matter. Homewings offer an online interior design service from just £99 per room. 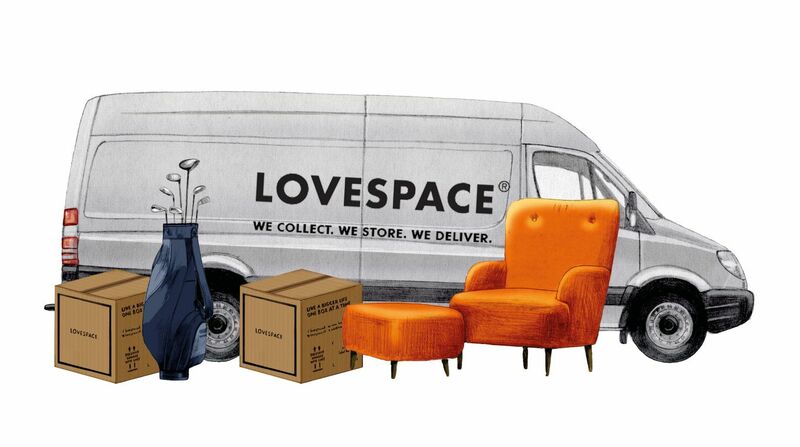 And when you’re moving, downsizing, renovating or just having a good old declutter, LOVESPACE are here to provide hassle-free storage. Have you got any tips to make a small room look bigger? We would love to hear them. Get in touch via twitter with #LOVESPACEtips and share your interior design wisdom with our readers.